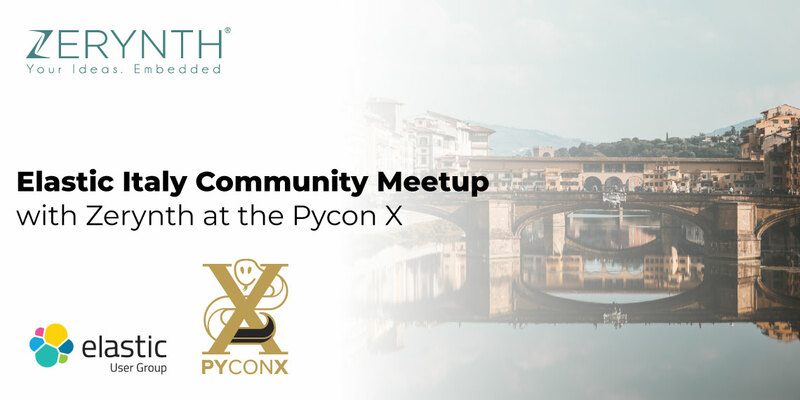 The Pycon X is happening from the 2nd until the 5th of May in Florence Italy, and the Zerynth team will be there, just like last year. This time we’re joining up with the Elastic Community Italy. As you can see, the Elastic-Italy community will be a guest of Pycon X. The meetup will happen during the first day of Pycon X. What brings us together with the Elastic Italy community is our exploration of Python. Antonio Pitassi, Zerynth’s software developer, will explain the third point in the agenda – how to monitor microservices with Elasticsearch and simplify the management of an IoT platform. Elasticsearch is something we like to use within the team, and we thought that this is a great way to pass that knowledge on, especially in the context of Python. Click here to read more about the meetup. For those of you who don’t know PyCon Italia is a conference where professionals, researchers, and Python fans meet together to discuss new ideas and learn new things. It’s set in Florence, Italy during the weekend. Pycon X, as you might have guessed is the tenth edition. Last year, at the Pycon NOVE we made an introduction to Zerynth. We explained to everyone how the company was started, from the first idea to the Kickstarter campaign, to where we are now. Now, all you’re left to do before the Pycon X conference begins is download Zerynth Studio, and start practicing programming 32-bit microcontrollers in Python. In the meantime, you can also explore the whole Zerynth toolset: Zerynth Studio, Zerynth VM, and the Zerynth App.